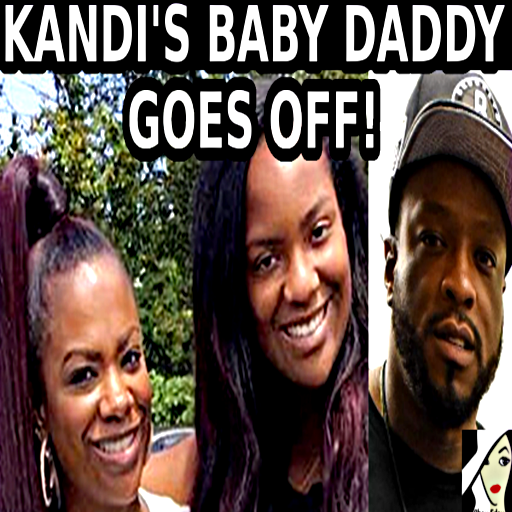 RHOA KANDI’S BABY DADDY BLOCK THREATENS HATERS?!! REAL HOUSEWIVES OF ATLANTA SEASON 9: KANDI BURRUSS BABY DADDY BLOCK CLAPS BACK! During RHOA episode 2, we were finally introduced to the father of Kandi Burruss‘ daughter, Riley. He goes by the name of Block, and he is a music producer. After years of watching Kandi’s heartache and complaints about him being a deadbeat dad, we are finally getting some details from the other of the story. Although he seems reluctant to answer questions, Block did try to down play any problems between him and his daughter. After the episode aired, Block took to social media and doubled down on his version of events. I’ve put them in my juicy PopCast video at the end of this post! As you can imagine, Real Housewives of Atlanta viewers have been dragging Block all over social media. And now, Block has clapped back with some questionable posts on Instagram. Although he seems to be loving the attention that he and his girlfriend are getting. …the QUEEN! @KRISKELLI …. #BlockEnt #MMG #SPOTIFY #rebuildingHipHopblockbyBLOCK the ALBUM coming SOON! I wonder how the rest of the Atlanta housewives will react to this? I bet Sheree Whitfield and Phaedra Parks will empathize with Kandi, since they also have baby daddy drama. Even Cynthia Bailey is having step-daddy issues with Peter Thomas and her daughter Noelle. It’s likely that Kenya Moore and Porsha Williams will be supportive friends (low key shade). Watch this video to see what Block has to say to the haters and trolls. Enjoy and subscribe!